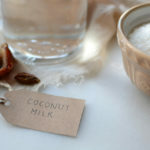 There are times when I want a thin, drinkable coconut milk. 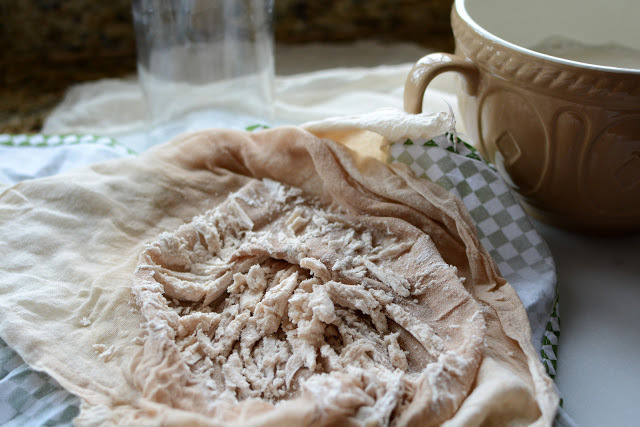 Without added ingredients or thickeners. 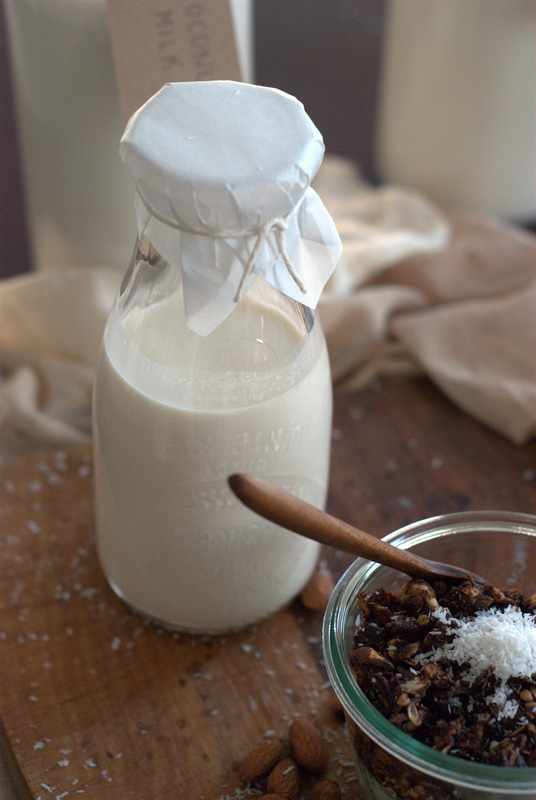 Just coconut milk. Cold. Not from a can. 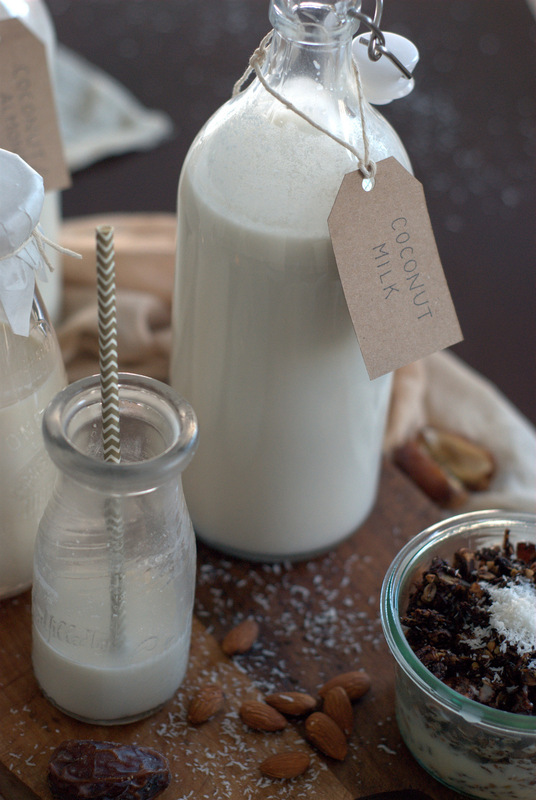 Just like nut milks, coconut milk is so simply to make with very few ingredients. 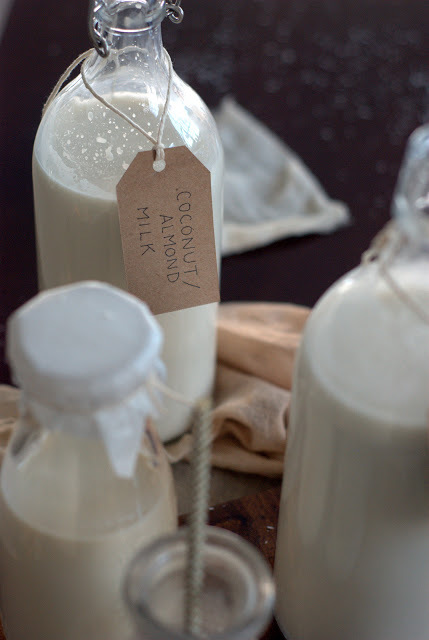 I can blend up a batch of coconut milk in about 5 minutes. 1 cup organic, unsweetened shredded coconut (desiccated) No additives. No preservatives. 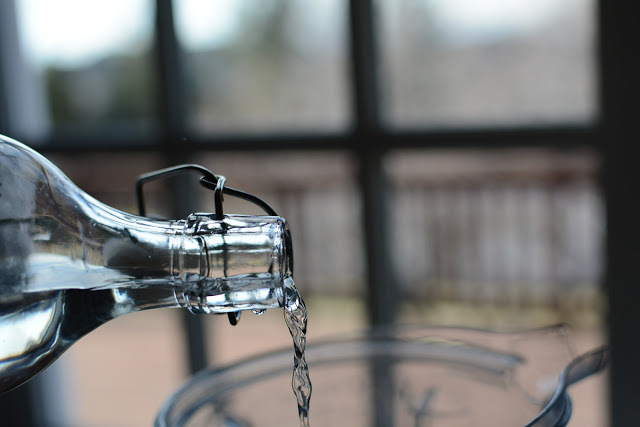 In a blender, add filtered water. 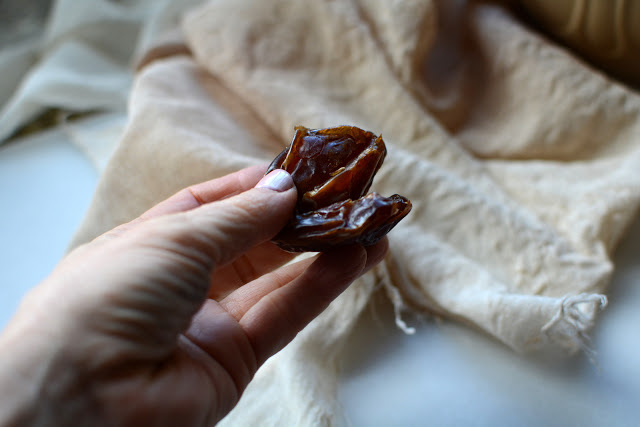 2 pitted dates…or more…or none. I like a little sweetness. Throw in a pinch of sea salt for a little flavor…or not. 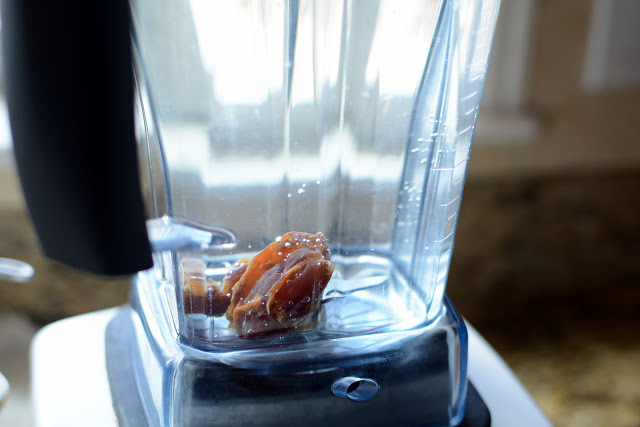 Turn blender on high speed and blend for about 3 minutes. 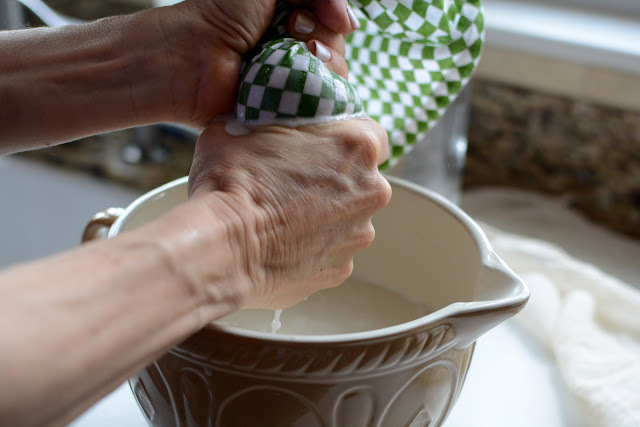 While the coconut milk in blending, place a strainer over a large bowl and line strainer with cheese cloth or a clean dish cloth. A nut bag may be used as well. Pour mixture into the lined strainer. 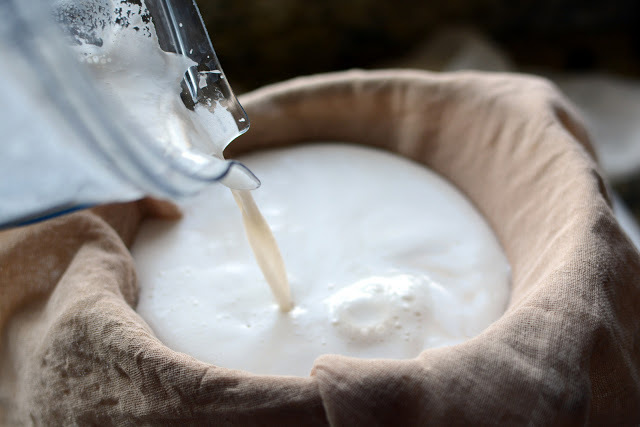 Stir the coconut milk to allow the milk to strain through to the bowl. Once most of the liquid is drained. 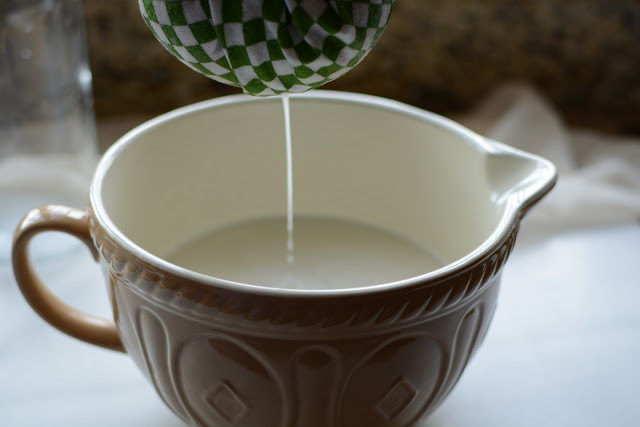 Squeeze out remaining milk. 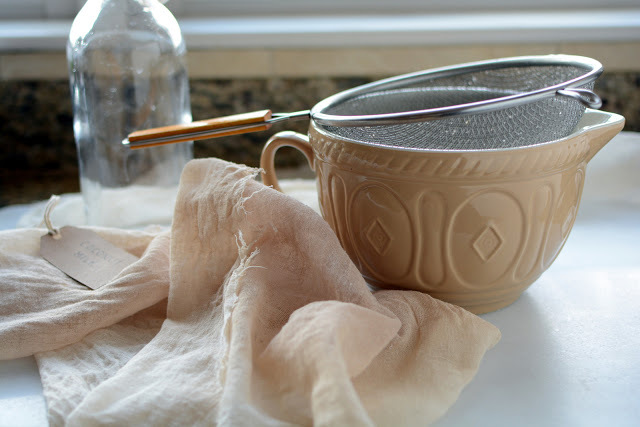 I have found that a tightly woven cotton dish cloth works great. 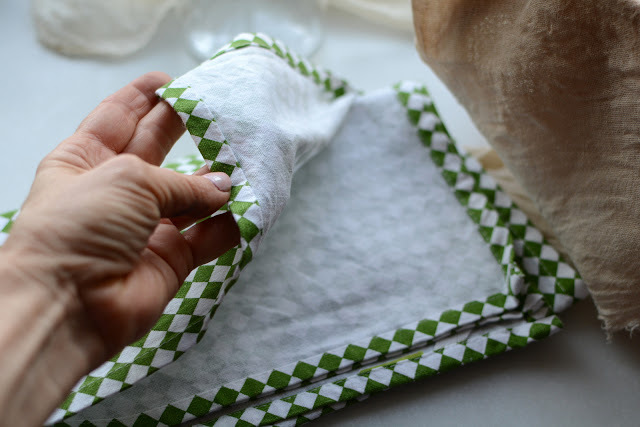 I like it because I can squeeze it and the pulp will not squeeze through the fibers. I can squeeze the daylight out of this cloth and get alot of milk out of the pulp. As you can see the coconut is pretty dry. You can use the pulp in cooking, smoothies or compost it. 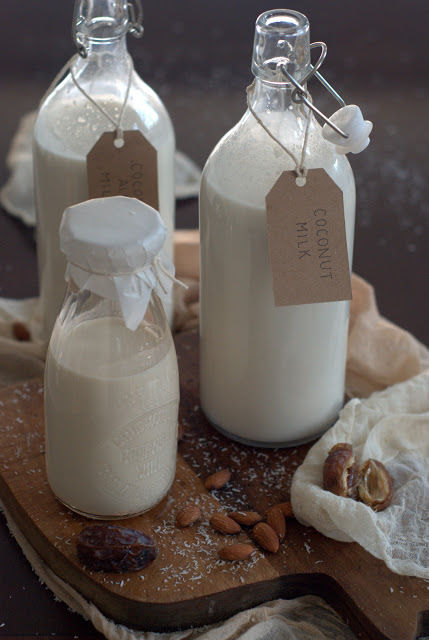 There you go coconut milk in 5 minutes. No additives or thickeners. No preservatives. 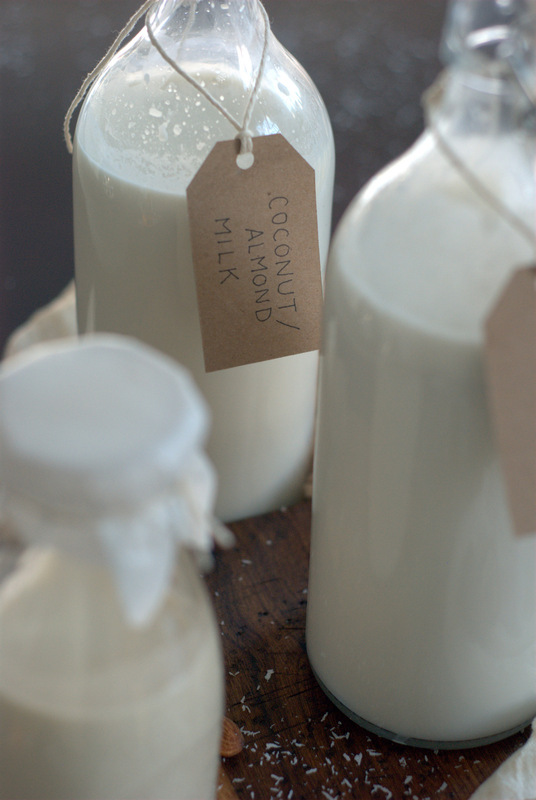 How about Coconut-Almond Milk? Just as simple. 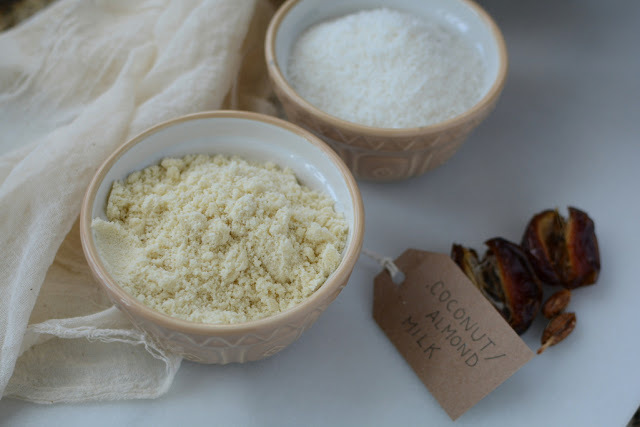 Just add 1/2 cup organic almond flour and 1/2 cup organic unsweetened coconut. 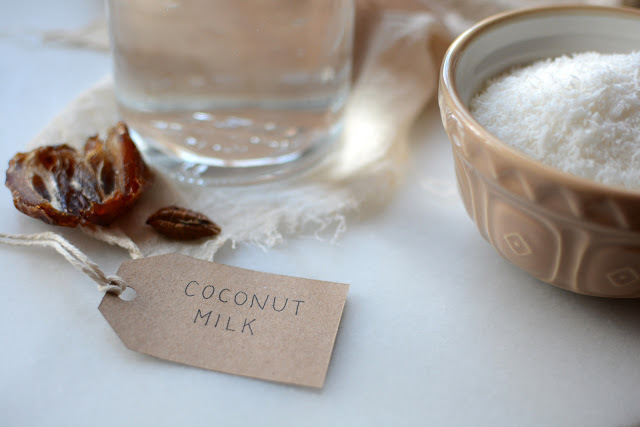 Follow directions for coconut milk. This blend makes one fabulous cup of cocoa. Stay tuned I want to post the recipe soon. It’s amazing. Pour into a container and store in refrigerator. 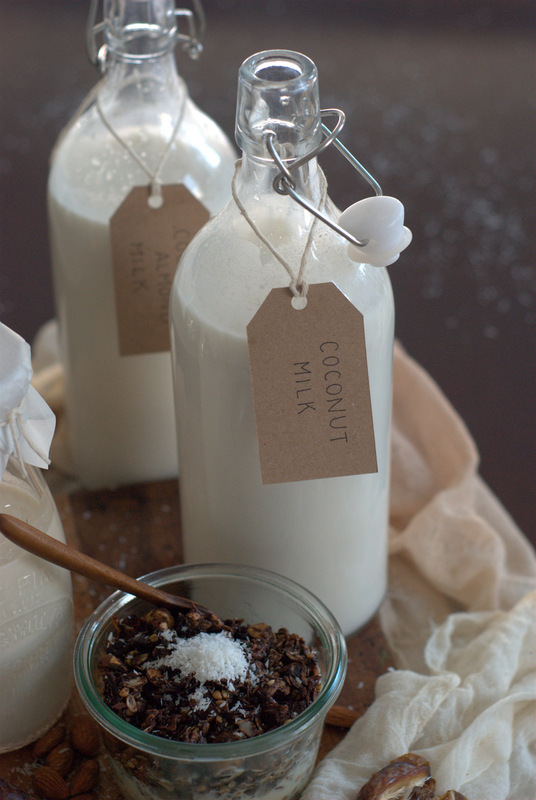 Note: The coconut milk will separate while chilled and a thicker layer of coconut milk may form on top. Just give the jar a good shake to mix. 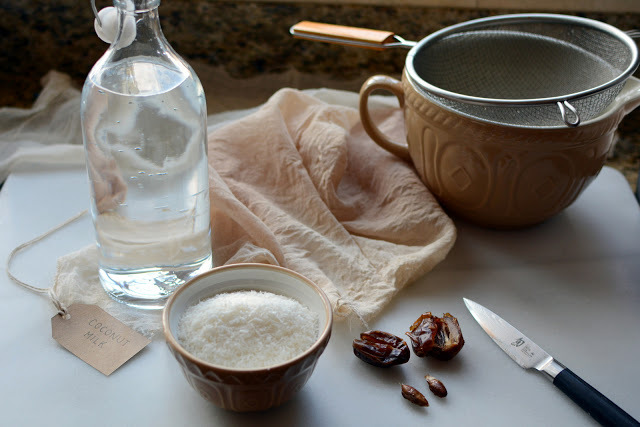 This coconut milk makes AMAZING rice. Just use in place of water when making rice. You will become instant gourmet. 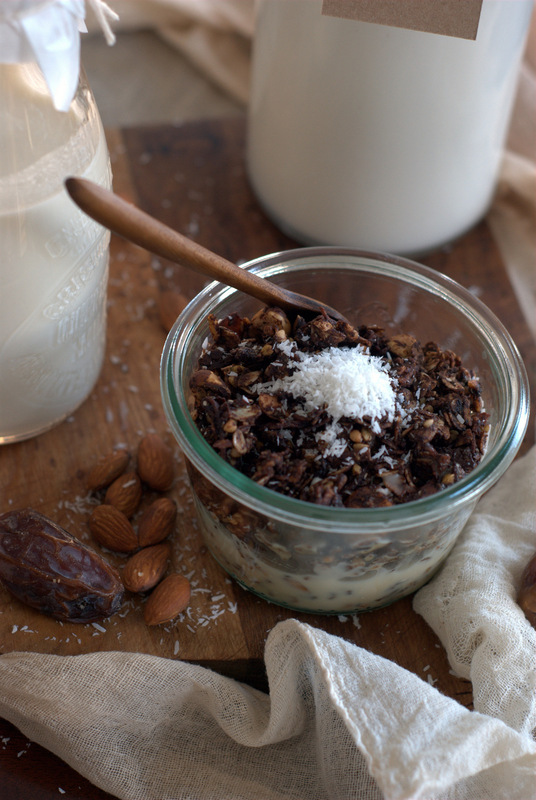 Did I mention it’s great poured over chocolate granola. In place of almonds in the recipe I used hazelnuts. Be still my heart. Making your own coconut milk at home is quite simple and you can control the ingredients. 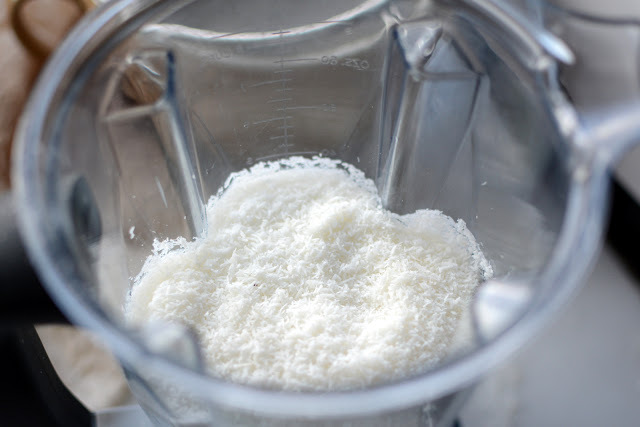 1 cup organic unsweetened shredded coconut (desiccated) No additives. No preservatives. 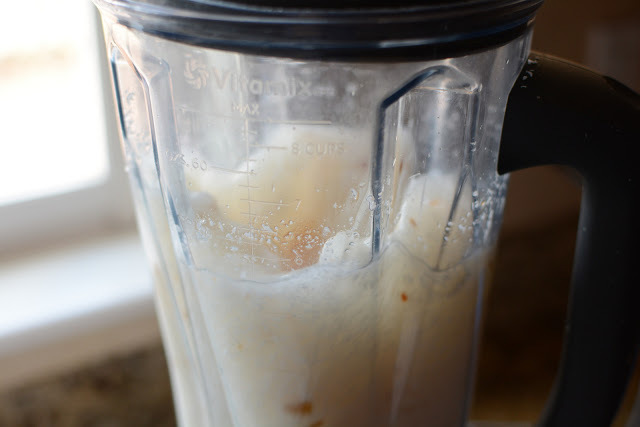 Place all ingredients in a blender and blend on high for 3-4 minutes. 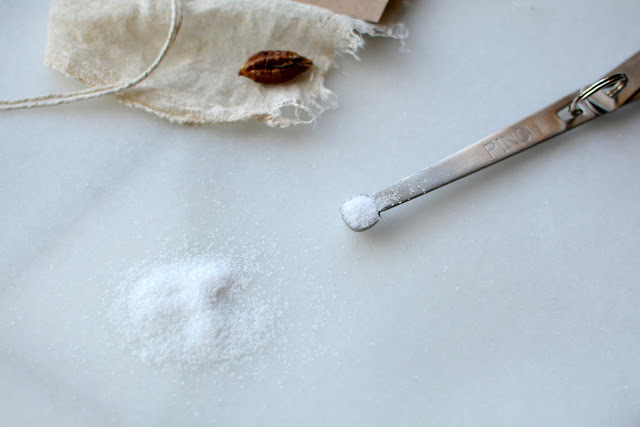 Strain through cheesecloth or nut bag. Store in refrigerator. Makes 4 cups. 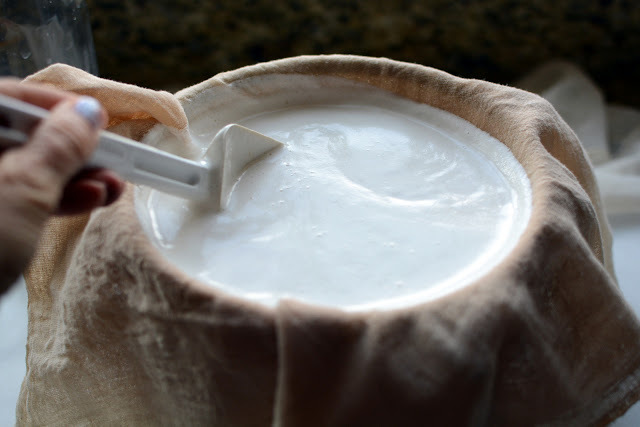 The coconut milk will separate while chilled and a thicker layer of coconut milk may form on top. Just give the jar a good shake to mix. Thanks for your great tip. That just sounds delicious. I bought a package of cloth diapers… the greatest for straining almond or coconut milk. Fabulous idea! Thank you so much for sharing. I'll be looking for cloth diapers.